March is here with a collection full spring blooms, feminine design and Parisian style. 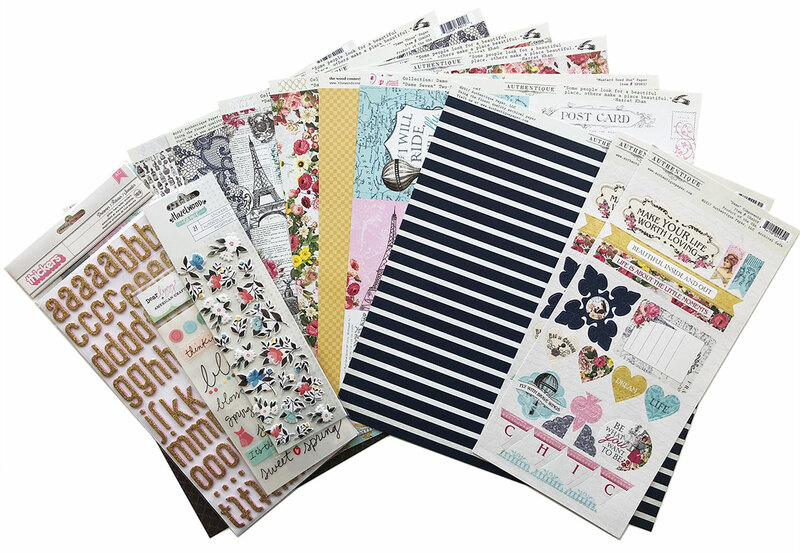 Inside you will find a gorgeous 12" x 12" Authentique, "Dame" scrapbooking kit, along with custom inspiration on the other side. This collection is all about elegance, feminine beauty, and Parisian glamour.